Exuding contemporary chic from the onset, this outstanding four bedroom, four bathroom plus study home will satisfy the most discerning family. Recently constructed to the highest of standards, it fuses day-to-day functionality with spacious proportions, quality fixtures and sophisticated design. 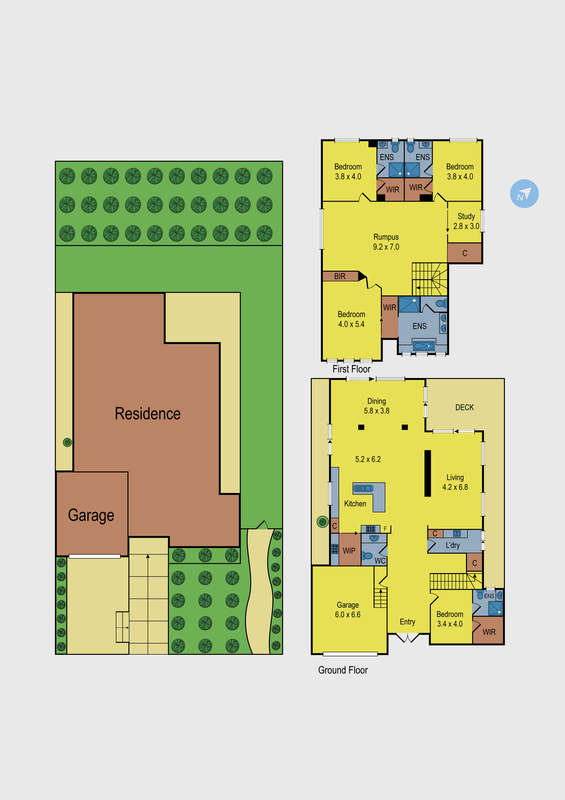 Expansive living zones feature on each level. The ground presents a vast free flowing family domain showcasing a huge kitchen boasting three ovens, two cooktops, canopy rangehood and dishwasher amid abundant stone topped cabinetry including large walk-in pantry. Lounge and dining areas progress to a covered alfresco entertaining deck achieving seamless indoor/outdoor flow. Due to extravagant dimensions, the upstairs retreat lends itself to versatile use. Four huge bedrooms boast WIRs and ensuite bathrooms, the master flaunting dual vanity and luxurious spa. There’s also a separate study, three wall mounted TVs, ducted heating, evaporative cooling, remote double garage (internal access), large laundry, powder room, plantation shutters, video intercom, alarm, ducted vacuum, CCTV cameras front and rear, garden lighting, rear garden drip system and abundant storage. Close to schools, public transport, Westfield shops and Merri Creek Trail.